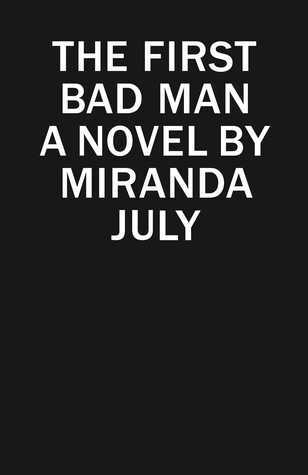 There are very few books that I would classify as “weird,” but Miranda July’s The First Bad Man is definitely one of them. My partner, to whom I read this book aloud, was over it by the time we were halfway through; it was too strange for her. I, on the other hand, found it absolutely hilarious and oddly touching, so I finished it by myself. Our main character is Cheryl Glickman, a middle-aged woman who works for a nonprofit that produces self-defense “exercise” videos for women. She lives alone. Her days have an extremely ordered, almost ascetic routine. She consistently has a lump in her throat. She has a huge crush on her coworker, Phillip, although as it turns out, he is pursuing an underage girl and seeking Cheryl’s permission to consummate the relationship. She believes that she has a special connection with a baby she has named Kubelko Bondy, whose spirit occasionally appears in other people’s babies to commune with her. Cheryl seemed to me to be unapologetically weird. While I loved her for this, I also despised her a little bit. When Cheryl is “forced” to provide lodging in her home for her boss’s 20-year-old daughter, Clee, life becomes messy. Clee, while beautiful, is messy—and dirty, and downright mean, and soon she begins to beat Cheryl up. Cheryl unexpectedly fight back, and she finds that she enjoys it. Her therapist (who pees in Chinese takeout containers in her office to avoid making the long trek to the bathroom) introduces her to the idea of adult games. Inspired, Cheryl studies self-defense videos so that she and Clee can recreate the scenarios in her house. Soon, of course, the relationship becomes sexual, and Cheryl’s life is turned even further upside down. I loved this novel because nothing happened as I expected, yet it all seemed to fit in the context of the universe that July created. Cheryl, while very strange, is also incredibly human in a way that I have never found another character to be. I found myself mentally mocking her quirks, while secretly thinking, I could see myself doing that. And, above all, the entire novel is just plain funny. If you’ve got any appreciation at all for the strange and hilarious, I highly recommend The First Bad Man. It’s a unique and highly enjoyable reading experience.